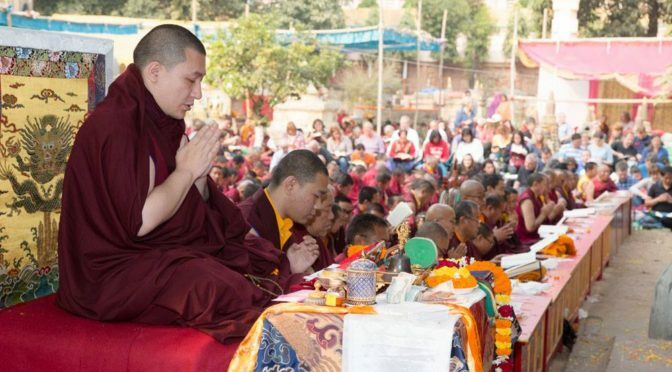 Thaye Dorje, His Holiness the 17th Gyalwa Karmapa, will once again lead the Kagyu Monlam, the most important gathering of Kagyu teachers and students of the year. This event will be the first public appearance of Karmapa with his wife, Sangyumla Rinchen Yangzom. The Kagyu Monlam will take place in Bodh Gaya, India, where the historical Buddha Shakyamuni attained enlightenment, from 14-20 December 2017. 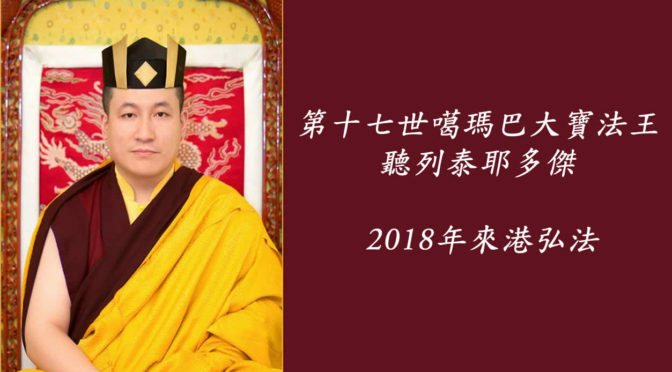 His Holiness Karmapa will visit Hong Kong at the end of March 2018, the activities will include presiding over empowerments and Kagyu Monlam in Hong Kong Convention and Exhibition Centre in Wanchai for three consecutive days. There will be dharma teachings on 7th April and a life release ceremony at sea on 8th April. We welcome your participation. Please join us! teacher His Holiness 14th Kunzig Shamar Rinpoche.